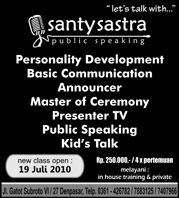 WORKSHOP " MENJADI MC PROFESIONAL"
Santy Sastra Public Speaking new class September..!! 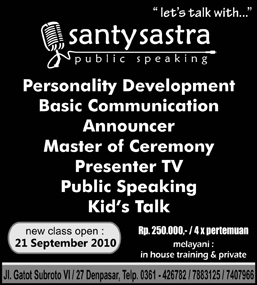 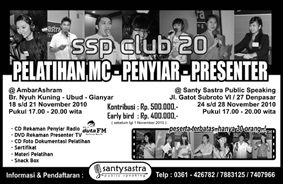 Santy Sastra Public Speaking new class September..!! 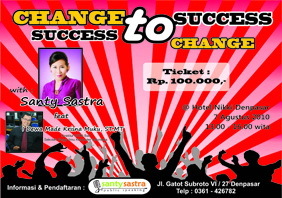 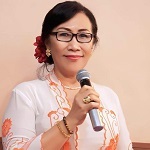 segera mendaftar..
Workshop "Public Speaking is EASY"